Which Custom Camo Hats are best or does it really matter? Being from the south I have grown up with friends and family with different camo personalities. Some people think if you are not wearing mossy oak then you are somehow lesser of a person and others in the middle and others really don't care. Selling custom camo hats for 16 years I have to say in the end it's a personal choice and many times a matter of functionality. Here are the 3 main types of custom camo patterns usually customers look for in custom hats. I will go into each one share a little bit of info about each. Licensed camo would be a camo pattern that is designed and patented to replicate it you must a license to do so. We can resell the material if we buy it from a manufacturer that has a license and thus given the right to sell to distributors. Some major license are mossy oak, real tree, kryptic, oil field and several others. I assume that wearing these will make you invisible to animals in the woods and the non- licensed camo makes you stand out like a sore thumb. 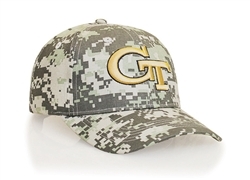 Digital or Military camo hats are in my opinion awesome but I am always partial to anything military because of my respect for our military and the men and women who serve and have served. The bottom line is you can not go wrong with the pattern, it rocks! 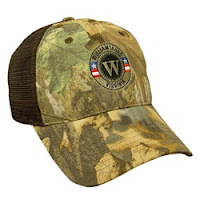 Non-licensed camo hats are more affordable and in many cases look very close to licensed patterns. 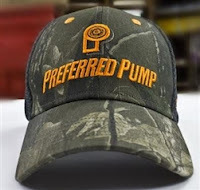 Part of my job is to direct customers to the best hat and the best price and I will get you some really cool hats if you don't want to spend the moola. One other really nice aspect of this is we can custom make these overseas and you get a really great quality hat for a super low price, I will add pictures below. In conclusion, the choice is yours and I generally stay away from the fray because I am a lover, not a fighter but I will give advice and direction. Once again we will provide samples for anyone who is interested.